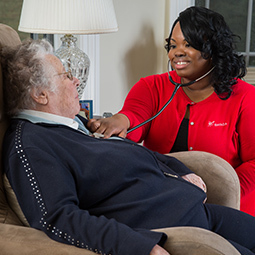 BAYADA Home Health Care in Bethlehem,PA provides nursing and therapy for adults and seniors in the comfort of their homes—helping our clients get better and stay out of the hospital, and giving their families and loved ones peace of mind. Our skilled medical care is provided by carefully matched clinicians such as registered nurses (RNs), physical therapists (PTs), occupational therapists (OTs), speech-language pathologists (SLPs), and medical social workers (MSWs), usually in a short-term series of visits prescribed by a physician after a surgery, hospital stay, illness, or injury, or to help manage a chronic medical condition. 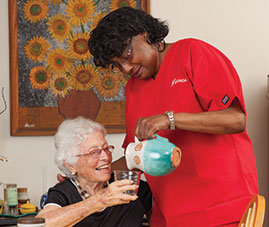 We make it simple and easy to get the personal nursing or therapeutic care you need. We even handle your insurance coverage through Medicare or a private insurance carrier. Call BAYADA anytime, 24 hours a day, 7 days a week. We will be happy to answer your questions and help explain our services and your insurance benefits. Friendly staff members in our Bethlehem office are ready to provide you with the highest quality home health care services available. Call us now at (610) 317-2118, or fill out the form on this page to contact us. At BAYADA Home Health Care, we strive to serve a special purpose—to help individuals in need have a safe home life with comfort, independence, and dignity. We provide nursing, rehabilitative, therapeutic, hospice, and assistive care services to children, adults, and seniors worldwide. We care for our clients 24 hours a day, 7 days a week. 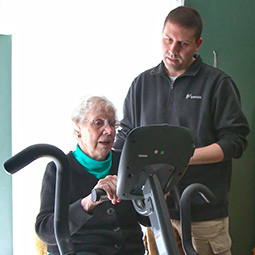 Since 1975, company founder Mark Baiada has been at the forefront of the home health care movement—working to give individuals greater access to high-quality care that helps them live safely at home. This in turn has led BAYADA to become a trusted leader in providing clinical care and support services at home. The professionals who make up BAYADA Home Health Care believe in one core principle: “Our clients and their families deserve home health care delivered with compassion, excellence, and reliability.” We focus on the needs of our clients and their families; helping them to cope with a myriad of illnesses and struggles within the comfort of their own home. With over 300 offices in more than 22 states, BAYADA offices help serve communities and families all over the country. © BAYADA Home Health Care, 2016. All Rights Reserved.